Near the river Scheldt you find Saint Paul’s Church, the former Dominican church, which was completed in 1639. The church has some splendid Baroque altars, more than 200 statues and 50 paintings. 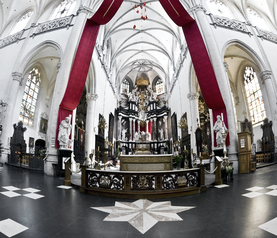 Masterpieces by artists such as Jordaens, Rubens, Van Balen and Van Dyck emphasise the church’s unique appeal. The Calvary garden looks like a set from an epic film about Christ’s suffering and resurrection. Originally, Saint Paul’s Church was part of a large Dominican abbey. It was consecrated in 1571 as a replacement for another church. A new Baroque steeple was built after a ravaging fire destroyed the church in 1679. The church's striking interior hosts fifty paintings by renowned Antwerp masters, Rubens, Van Dyck and Jordaens, over 200 sculptures, beautiful Baroque altars and sculpted church furniture, widely considered to be amongst the most beautiful in the world. The organ was built in the 17th century, but has been repeatedly restored and expanded. An eye-catching feature is the 18th century Calvary with sixty life-sized figures, next to the church on the corner of Veemarkt and Zwartzustersstraat. 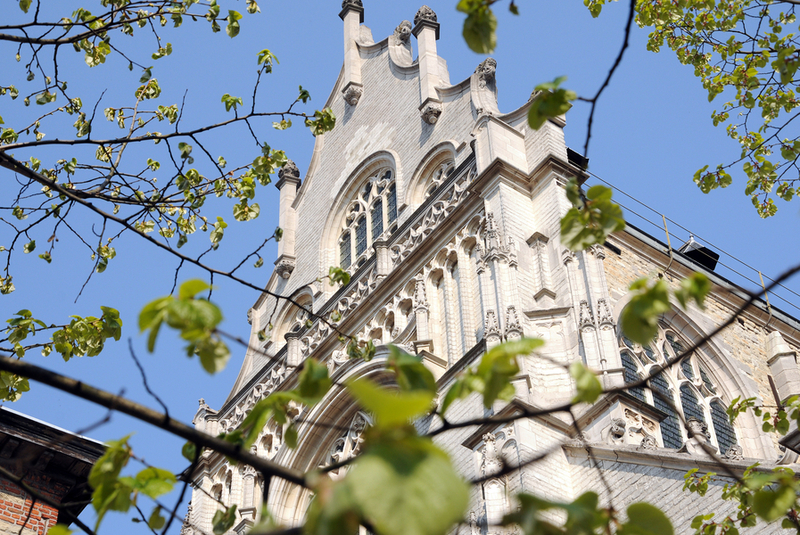 St Paul’s Church is open to the public between 14.00 and 17.00 on weekends, with the Calvary open until 16.00. From 19 to 27 December the church will be open daily from 14.00 to 17.00, with plenty to admire, including the Nativity scene. 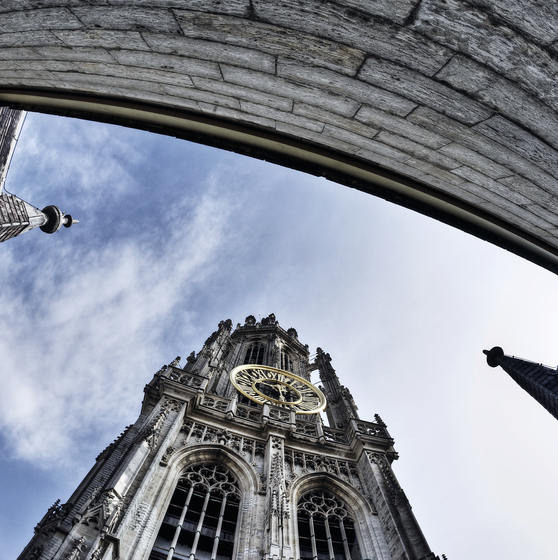 In the early sixteenth century the Augustinian Friars built St. Andrew’s Church in the popular St. Andrew’s neighbourhood, which today is also the beating heart of the Antwerp fashion industry.